If you have been diagnosed with small cell lung cancer (oat cell lung cancer) and non-small cell lung cancer, you will likely qualify for disability benefits. The Social Security Administration (SSA) states that about 85 percent of lung cancers are the less aggressive type, or non-small cell lung cancer. Lung cancer is listed under “malignant neoplastic diseases” in the SSA’s Blue Book of medical conditions. A malignant neoplastic disease is a disease characterized by a malignant tumor or growth caused by rapid and abnormal cell division. 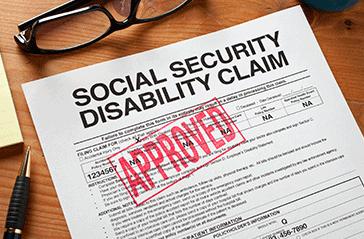 What Is the Qualifying Criteria for Lung Disability Benefits from the SSA? Applicants seeking disability benefits for non-small cell lung cancer must prove their cancer is inoperable, has metastasized into the lymph nodes or is unresectable (cancerous tissue remains after surgery). All applications for lung disability that indicate a diagnosis of small cell lung cancer will be automatically approved. Cancer located in the superior sulcus (upper regions) of the lungs that has been treated with surgery or radiation also qualifies for lung disability. 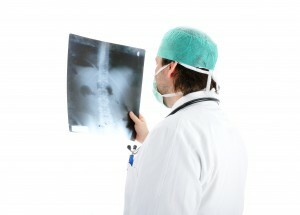 You will need to provide proof of treatments and results of treatment when you submit your application to the SSA. What Kind of Medical Documentation Does Social Security Want From People With Malignant Neoplastic Diseases? Biopsies of primary tumors, evaluations by a pathologist examining tissue samples, proof of lung surgery and documentation showing the lung cancer has spread are the essential kinds of paperwork you need to send to the SSA when applying for disability benefits. For people with lung cancer who fail to meet criteria for lung disability, the SSA will evaluate their residual functional capacity (RFC) to determine if they are able to work. If symptoms and impairments attributed to malignant neoplastic diseases severely limit an individual’s ability to work, the SSA may approve them for disability benefits based on their RFC score. For assistance with submitting an application for lung disability and to improve your chances of being approved as expeditiously as possible, contact London Disability today to speak to an experienced disability attorney.